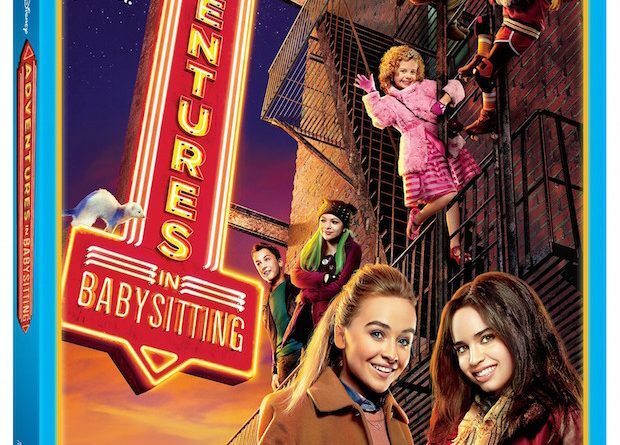 Starring Sabrina Carpenter and Sofia Carson as the main duo, Jenny Parker and Lola Perez, “Adventures in Babysitting” has the same basic structure as the original, but with enough variation to make it more than a remake. Jenny and Lola are characterized early as opposing forces: Jenny is studious, well organized and uptight, while Lola is fun and irresponsible. After a cell phone switch at an interview for a photography internship, Lola impersonates Jenny in order to get a babysitting gig and make some quick cash. Naturally, things go pear-shaped pretty quickly and Jenny and Lola, along with the five children they’re responsible for, embark on a wacky journey through “the city” (it’s unclear whether they are in Chicago like in the 1987 film), with plenty of roadblocks and hijinks along the way. This movie is a surprisingly fun watch. It does a good job of referencing the 1987 inspiration enough to be recognizable to those who have seen it, but not so much as to be clunky or out of place. “Adventures in Babysitting” has a consistently light and humorous tone, and each of the supporting characters gets a few standout moments. Two of the young girls Lola and Jenny are babysitting provide a lot of laughs in the movie: Katy, a fashionable old soul, and AJ, a roller derby fanatic who skates through the movie. “Adventures in Babysitting” drags a bit in the middle of the movie and can get kind of cringeworthy. The awkward blues scene from the 1987 film is reimagined in a dance club as an awkward rap scene. Lola, Jenny and their wards are pursued throughout the movie by ambiguous bad guys without too much motive or explanation. But overall, “Adventures in Babysitting” is definitely a good movie for younger audiences and for those who are fans of the 1987 original. The DVD of “Adventures in Babysitting” will be released on June 28, just a few days after the movie aired on Disney Channel. Unfortunately, the only bonus feature is a blooper real. The blooper real is cute and if there are family members who are big fans of any of the actors, it could be worth getting, but it is short (less than two minutes) and doesn’t necessarily make the home release worth buying if you saw the movie on TV.